We’ve got a new project idea — and you can help! Do you want to support the work that we are doing as Peace Corps Volunteers? Now you can! We are trying to get funding for a project that we’d work on together, and you can help — without ever paying a penny. Just click on this link and register to vote for our project. The project idea with the most votes get the money. It’s as easy as that. We know that these crowd-sourced prizes can be annoying, but this one is different. With just a click of a mouse, you can send a group of Cambodian high school students on the trip of a lifetime. So get clicking! And, please, share this link with anybody and everybody who might want to help. In rural Cambodia, the majority of students never leave their province, resulting in a limited understanding of their own country and its people. 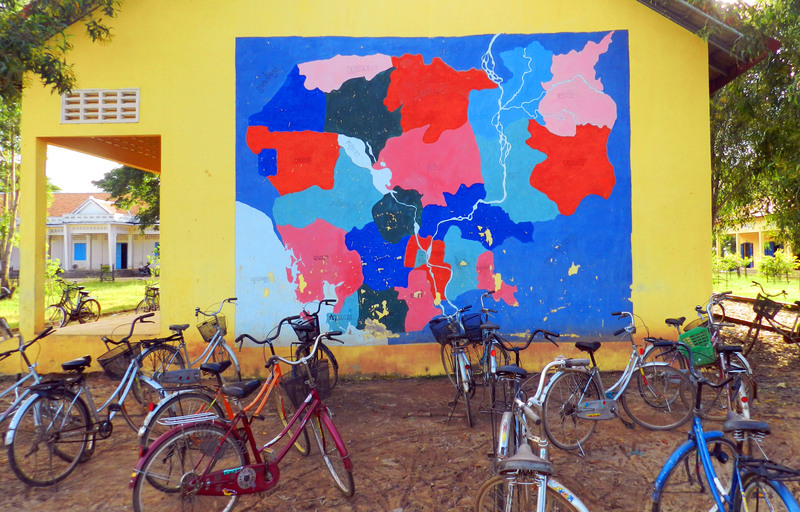 Most secondary students, even those at the top of their class, can’t find Cambodia on a world map, and many have little concept of how Cambodians live in the next district or province over. We want to change this, by combining the power of travel with education. We plan to lead a 10-day educational trip around the country for a group of motivated secondary students. From the magnificent Angkor Wat to the tragic killing fields, we’ll take students on a tour of Cambodia’s history. We’ll also facilitate a cultural exchange so students can interact with different groups within the country’s borders, including religious and ethnic minorities the students may never otherwise meet. As we travel, we’ll teach lessons on geography, history and social studies, encouraging the students to think more deeply about their surroundings. In a country whose education system is still being rebuilt after a horrific genocide, this kind of experiential learning through travel has the potential to change the youth’s perspectives – and, ultimately, their lives.